Welcome Spring! In recent years we’ve given away over $23,000 worth of new Adobe software, so to kick off the new season right we’re going to be giving away two brand new boxes: the Adobe CS6 Design & Web Premium Suite plus Photoshop CS6 – with a collective value of US$2,600 – and it’s open worldwide! Creative Suite 6, Adobe’s flagship product line, has been doing very well in recent months… Available standalone for instant download or as the centerpiece of the popular Creative Cloud offering, there are many key differences in this release compared to CS5 and earlier, includ­ing hundreds of new features added to all the applications, major performance improvements, user interface enhancements, and much more. And now we’re thrilled to give away new boxed copies of Adobe’s two best-selling CS6 products to our terrific readers who have helped build our site to what it is today… Just check out our most read posts over the past four years to see what you’ve helped create! The Design Suite sells for $1,899 / €1,837 / £1,509 and contains over $4,000 in individual tools, including the industry-leading Photoshop Extended, Dreamweaver, Illustrator, InDesign, Acrobat X Pro, Flash Pro, among others… (see the complete list of programs it contains) If you want to try it out first and install it on your computer, that’s easy as the free trial is available for download for both Windows and Mac. All the tools (and much more) are also available through a free tryout of the Creative Cloud. For this new giveaway, we will be picking two winners. The first prize­winner drawn will receive the full CS6 Design & Web Premium Suite for either PC or Mac, and then the runner-up will receive Photoshop CS6 (worth $699 / €676 / £556) as a consolation prize. Note these are not upgrade or student versions – these are the shrink­wrapped, full commercial English releases of CS6. (3) Enter your email for our free exclusive Adobe Special Offers Newsletter in the sidebar over to the right (with important news and coupon codes, never spam, and unsubscribe at any time)… Current subscribers can just re-enter their address. That’s it! Each of these actions counts as a single entry into the drawing – so if you do all four, you would receive 4 different chances to win these Creative Suite 6 products. Be sure your email is correct so that we can contact you. One entry per reader for each method, but please do share and tell your friends and colleagues who would like the software as well. Submissions are open until 11:59pm EDT on Friday, April 19th, 2013. The winners will be drawn at random from all valid entries, and contacted via email – and we’ll announce the lucky recipients (first names only) right here the following week. 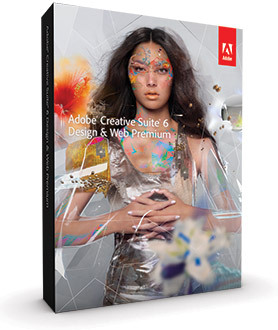 If you’re one of them, we’ll ship you one of these shiny new boxes of CS6 completely free! Participation constitutes entrant’s full unconditional agreement and acceptance of these rules. All federal, state and local taxes, as well as any customs duties, other taxes, fees and/or sur­charges will be the sole responsibility of the prize winners. Any winner under the age of 18 (as of winner announce­ment date) must have their parent’s or legal guardian’s consent to accept prize. Employees, contractors, and directors of Sponsor, its affiliates, agencies, and the immediate family members and those living in the same household of such persons are not eligible to participate in the sweepstakes. By acceptance of prize, the winners agree to release Sponsor from any and all liability claims or actions of any kind whatsoever for damages. Offer void where prohibited, regu­lated or restricted by law in a manner inconsistent with the purposes and rules hereof. This promotion is in no way associated or connected with Facebook or Twitter. I’m really interested in this great giveaway, because I have lots of photos to retouch, and Photoshop is simply the best photo editing software. I battled with 5 different cancers for the last 5 years and underwent 2 liver transplants due to a ruptured tumor. My Surgeons and Oncologist have released me to return home next week. I plan to set up a website heightening the awareness on organ transplants and cancer. The website will also offer cancer patients information on available resources to ease their burden during treatment. All our best wishes for a speedy convalescence Gerald! Have the winners been contacted yet? Hi Johan, thanks for your interest. We’re in the process of contacting and confirming our winners – it does take some time because up to 72 hours is allowed for responses, but we hope to be making an announcement soon! I am finally just throwing myself full on into photography! I was tentative at first, but I have found that as I immerse myself in it, I am gaining a lot of confidence and knowledge fast! I am feeling confident with my photos, but I need to work on post processing — certainly could use Photoshop CS6! Thanks for the offer. I would use it to become a better web designer! A professional webdesigner needs professional tools such as Adobe products! We’re pleased to announce the winners of our Spring Creative Suite Giveaway, our last one for CS6! 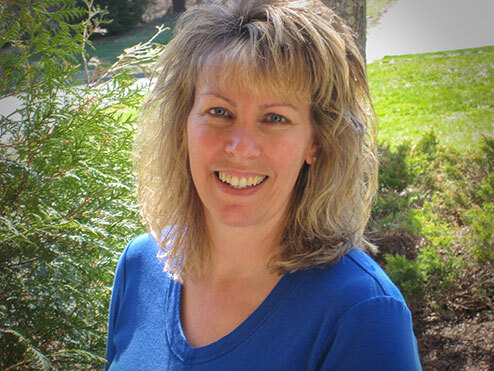 Taking the grand prize is Joyce from Massachusetts, who will receive the CS6 Design & Web Premium Suite. Runner-up is Danna from Colorado, who will be getting Photoshop CS6. Congratulations to both winners! And thank you all for participating… Be sure to keep an eye out for more big giveaways coming here soon (after the next version is released). Thank you so much, ProDesignTools!! I received the software and can’t wait to do amazing things with it!! I would greatly appreciate the ProDesign Tools! I will be taking Adobe Photoshop class and Multimedia class this fall. The ProDesign Tools would be put to very good use, for homework and later getting a job! It’s very difficult with the price of school nowadays, the price of software. Adobe Software is the best there is to accomplish my goals.